Planning a wedding really does seem like a thousand little decisions… and picking the date for your wedding is one of the first ones! Seems easy enough, right? But trying to coordinate one date that will work for you, your family, guests, wedding venue, and football schedule (yes, in TN that’s a HUGE factor!) can seem like a huge task. Here’s a few things to consider that I hope will help you as you select your perfect date. The right wedding date is more than just a good fit for you and your families. Do a little research on the city’s calendar, look up the local football schedule, and be sure your guests won’t have a difficult time finding accommodations. Most large conventions are planned at least a year in advance! For the Knoxville area, our city has an online calendar of events HERE. If you’re planning a Fall wedding in Knoxville - remember that the Tennessee Vols bye-week Saturday will be an extremely popular date! Consider having your wedding on a Friday/Sunday if you’re planning your date around a football schedule! I know to some that may sound a bit crazy - but it’s a huge factor for some Vols fans! Is there a time of year that your wedding location is more predictable? In East Tennessee, it’s a joke to think you can predict our weather! Your early May wedding could be 40 degrees or 80. Who knows? I’ve experienced both, within a single weekend! If you want a summer date for an outdoor wedding, a morning or early afternoon ceremony is the best way to avoid rain. June is usually a bit cooler than July and August, and September through early October is still in our “summer” heat. It usually turns cooler around mid- October, and won’t warm up again consistently until mid- to late-April. If rain scares you, the best bet is to select a venue that has an indoor option you’re comfortable with. Or if you’ve always dreamed of an outdoor wedding - Have umbrellas on-hand, or select a date where there’s less chance of rain. Such as a morning ceremony in July. Remember there could be good and bad aspects of any date - decide for yourselves what you will compromise on, what you’re comfortable with, or what you absolutely don’t want. Check the calendar for national & religious holidays! Do you want to make your wedding vendors and professionals work on Mother’s Day? Probably not. Some religions have restrictions on weddings during certain times of the year. Especially for church weddings, some forbid weddings during Lent or other religious holidays. If you’re planning a church wedding, be sure to ask if there are any dates that are off-limits. If you’re planning an outdoor wedding, consider the religions of your families and guests attending, or who you’ll have officiate. The average engagement period is about 10-14 months. That means prime summer and fall dates for weddings can book up as far as a year or more in advance. 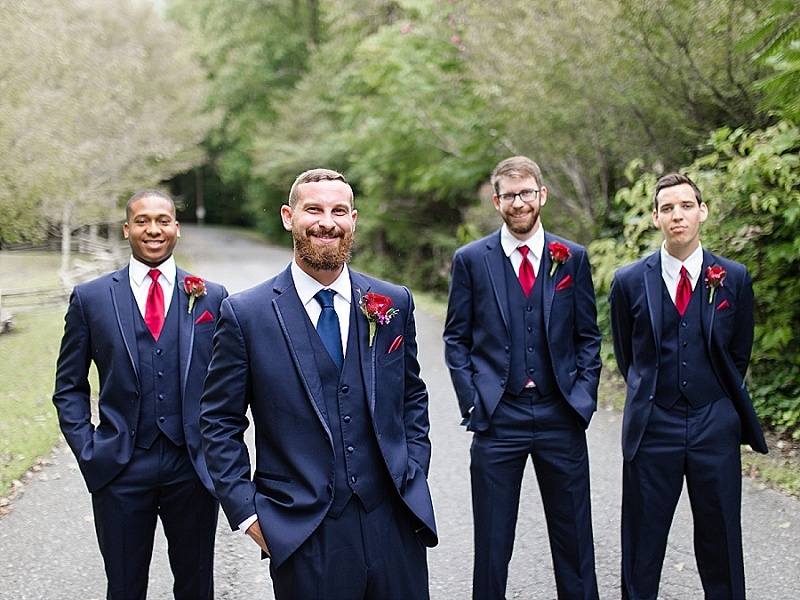 If you are set on a specific venue - have backup dates in mind. Of course, you can definitely plan your wedding in 6 months, or even 6 weeks! The reality is, if you want a prime reception site or popular wedding photographer, planning in advance helps! If you’re planning a wedding in a short time frame, you just need a little flexibility, as you may have to take even your 3rd or 4th choice for a certain wedding venue and photographer. On the plus side, guests will have more time to travel to and from your wedding. But that can be outweighed by the holiday factor. Guests may have already scheduled a vacation or trip for that weekend far in advance. You may find some guests aren’t able to attend over a holiday weekend. You also want to consider other events in the area. A major festival/marathon/parade on Memorial Day weekend, for example, may make it difficult to have a wedding that weekend (hotel rooms, traffic, roads blocked, etc). Another factor: cost of travel. Some out of town guests may try to use frequent flier or rewards miles to book their ticket, and that’s near impossible during a holiday period. There are two dates that because of demand, floral prices could get as high as 4x the regular cost… Valentine’s and Mother’s Day. Florists are also extremely busy during those times, and you may not get your first pick of florist. You also want to consider what flowers you’re wanting. If you’re flexible on the types of flowers, your florist will help you pick flowers that are in-season. It’s a little known secret of the wedding industry - you can save a ton of money by getting married on any other day but Saturday. Just ask! It doesn’t hurt to ask, and it shouldn’t offend anyone that you’re asking if they have any discount available. Just don’t assume they do! Everyone does business differently, and some professionals may have a little more flexibility than others, even in the same field. For example, I love Monday-Friday weddings. But I know a few other photographers that aren’t as available during the week. So they may not give a discount, because it’s actually harder for them to do a mid-week wedding. It never hurts to ask! I hope these tips have helped you! Let me know in the comments below what you think, or any other issues you’ve faced choosing your wedding date! If you’re planning a wedding, be sure to follow me over on Instagram! I post tips every Wednesday at the very least! If you’re a photographer or just take photos for your family or business, be sure to subscribe to my newsletter! I promise to not bombard your inbox with useless emails! You’ll receive 1-2 emails per month with photography tips, tricks, new techniques to try, and specific ways to improve your photography skills! Confession: I'm not a writer. I create images that I'm super proud of... but when it comes to writing about it, that's another story... But I think it's safe to say that this shoot really speaks for itself. Heather Green, the previous owner of The Bride Link, Colleen with At Last Weddings and myself, all sat down over coffee one morning and dreamed up this concept of a Winter Elopement at Whitestone Inn. Elopements are becoming more and more popular, as couples are wanting something in-between a Courthouse and a big Wedding. That's what couples want in their special day! And that's what we captured with this Winter Elopement-Styled Shoot! Maybe it's just the two of you and a minister on the lake, or a handful of your loved ones on a hillside overlooking the mountains... Either way, Whitestone Inn has the perfect setting for your day. So enjoy! 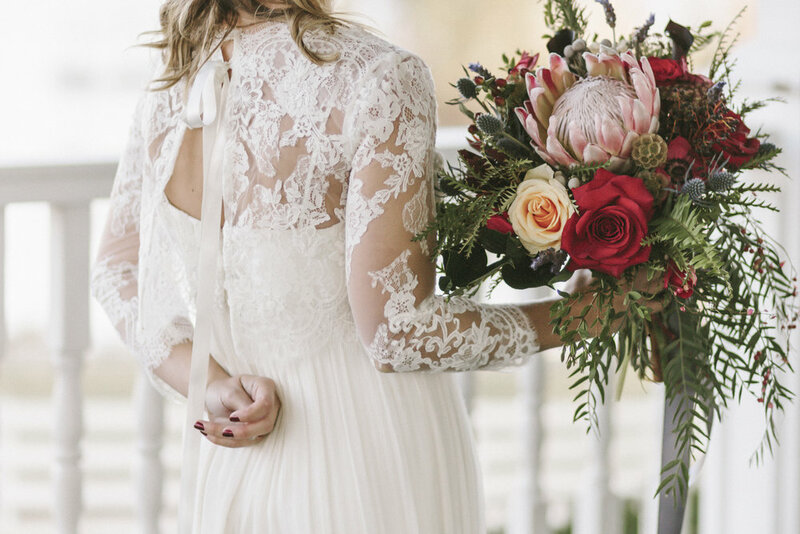 And feel free to incorporate these details into your own intimate wedding day! Or contact the vendors listed below to create your dream Wedding or Elopement. Married on a perfect early spring day, with redbud trees starting to bloom, Peter & Tisha chose a mountainside venue to celebrate their marriage with their closest family and friends. 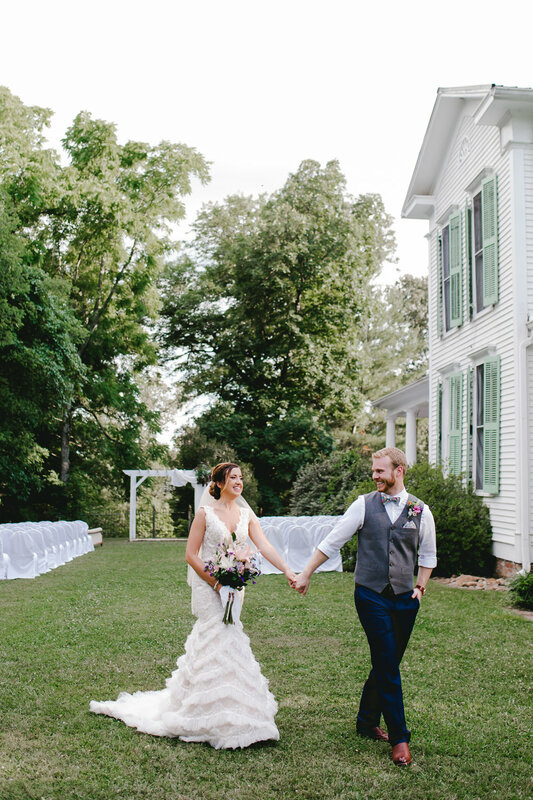 The views were breathtaking, and the ceremony and sentimental moments scattered throughout their day were absolutely darling. It was truly an honor to be the one to capture all these sweet moments. Tisha's Mother and Father were able to watch out the window as Tisha & Peter saw each other for the first time on their wedding day! Instead of the traditional "bouquet toss," Tisha wanted to present her bridal bouquet to her Mother. I'm positive anyone else watching was in tears as well. Such a touching way to honor her Mother! Tisha also chose to change into a Reception gown. They even did a second "First Look" with more portraits in the second gown after the ceremony! Myly, Jana & the ladies over at 3M Creative Consultants helped the couple create their dream wedding from helping with all the planning, setting up for the day, coordinating/directing on the wedding day, and cleaning up afterward - They're truly amazing! 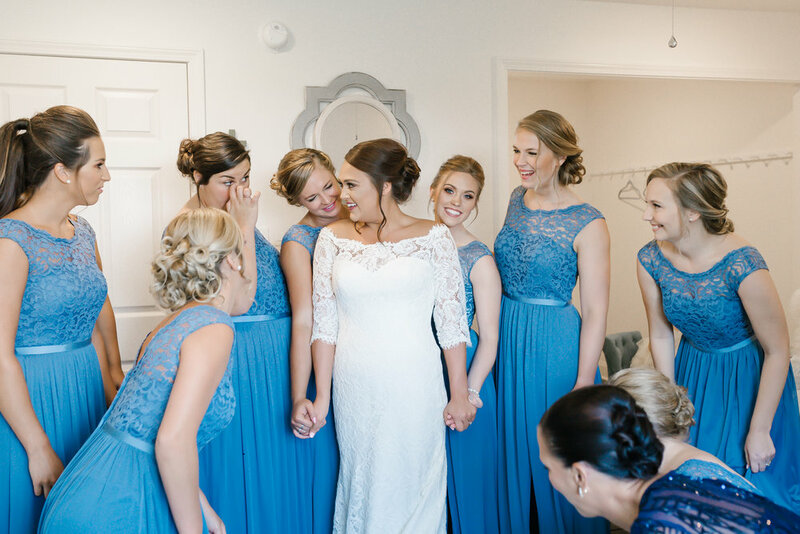 Click here to see the full Nelson Wedding Day gallery! When Anna and I first started discussing wedding details, I literally squealed a little at the chance to shoot at Ramble Creek Vineyard. It's a somewhat new venue in Athens, Tennessee... and y'all. They built this place to be a photographer's dream, I'm sure of it. I'm so happy Anna and Erwin asked me to capture their gorgeous wedding! Not just for the perfect venue, but it was an honor to be a part of such a sweet day. Their Wedding day was the perfect amount of cloudy... until it wasn't. Ha! So about the time we wanted to do some wedding party portraits, it started pouring... and didn't stop until their sparkler exit! (Perfect timing!) But the inside of the venue is just as gorgeous, so we were able to still get so many photos! And if you want to see the full gallery of Anna & Erwin's special day - the link is at the bottom! Please keep in mind that although you cannot print the images from the gallery, you may order prints or share online! Just be sure to tag @emeraldandivyphoto on Instagram or "Emerald + Ivy :: Formerly Blush Creative Photography" on Facebook! Thanks so much!